There’s a pretty good chance that most companies have heard of SEO, or search engine optimization, at some point, especially if they’ve done any type of online marketing for their business. SEO is an incredibly important strategy that should play a part in any inbound marketing campaign; however, knowing how to properly implement SEO is just as important as using it. By misusing it, a company can actually hurt their online marketing efforts. 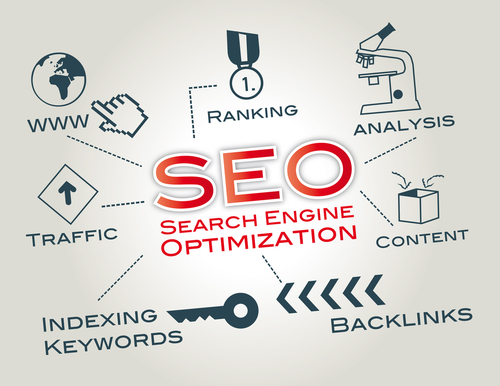 Search engine optimization is the act of optimizing webpages, social profiles and content in order to attract a target audience on search engines such as Google. There are a number of different tactics involved, two of the biggest being the use of keywords and the use of link building. The algorithms used by search engines such as Google track the use of keywords and the number of links that link to a company’s webpages in order to provide the website with a search engine ranking. The higher the ranking is, the more exposure the pages get. This is important since the increased exposure will bring more web traffic to the site, thereby providing the company with more leads that can potentially be turned into customers. Seems Easy, Why Use Our Services? Why would a company pay for someone to help with their SEO strategy when it seems like it’s something that they can do on their own? Companies can simply throw in a few keywords here and there, pay for a link farm site to post links to their website from hundreds of pages and voila! That’s all there is to it, right? Not quite. The things is, search engines such as Google want to make sure that the results that show up on their search pages are for high quality websites that will provide users with useful and informative content. Many companies have tried to abuse the system over the years by misusing SEO. For example, through the use of keyword stuffing, which is a practice in which keywords are used with reckless abandon throughout one’s content, whether their use is relevant to the content or not. This used to be able to boost the ranking of a website, even if the website was of poor quality. Content creation – Because Google’s algorithm focuses on rewarding websites with high quality content, companies will need to produce high quality content. Our content creators will not only regularly produce new and original content that is optimized to help improve the web ranking of a company website, but will also produce content that is informative and helpful, and that will assist companies in converting visitors into paying customers. Keyword research – A lot more goes into a keyword than one might think. There’s a fine balance between a keyword that is too broad and a keyword that is too specific. We will do the necessary research on a company’s target audience, products and services in order to determine which keywords are most suitable for their current campaign while ensuring that they are relevant to the content they are included in. Link-building – We use a number of different tactics in order to make sure that a company has high quality, relevant links associated to their website. We do not use short cuts, such as by hiring the services of link farms, which will only damage the quality of a website as well as its search engine ranking. Local search – Users often use geographic modifiers when searching for products and services. We’ll make sure that all of a company’s local business listings data is optimized so that they can connect with buyers within their area. Analytics – We use analytics tools in order to track the progress of a company’s SEO strategy so that we can see what tactics are working and what tactics are not. This allows us to adjust their strategy on the fly in order to make the most use out of their resources and to ensure that their SEO strategy is a successful one. Not only do these tactics require the know-how to implement properly, they also take a lot of time and skilled individuals to pull off. For more information about implementing SEO into one’s online marketing strategy as well as our other inbound marketing services, be sure to contact us at Britewave Digital today.